May 2018 "A Call From Dennis Smoltz of AZRA"
On Saturday morning, May 19th, I awoke to a voicemail from Dennis Smoltz, AZRA's Field Personnel Manager asking if I would be able to hike in on Tuesday, May 22 to be a support paddler on the paddle boat for the lower half of Grand Canyon. Apparently a guest had injured themselves and needed to leave the trip. I called Dennis back and said of course I can do that! I always feel fortunate that AZRA and their boatman have given me the opportunity to join them on a number of their charters over the past 5 summers as a working assistant. 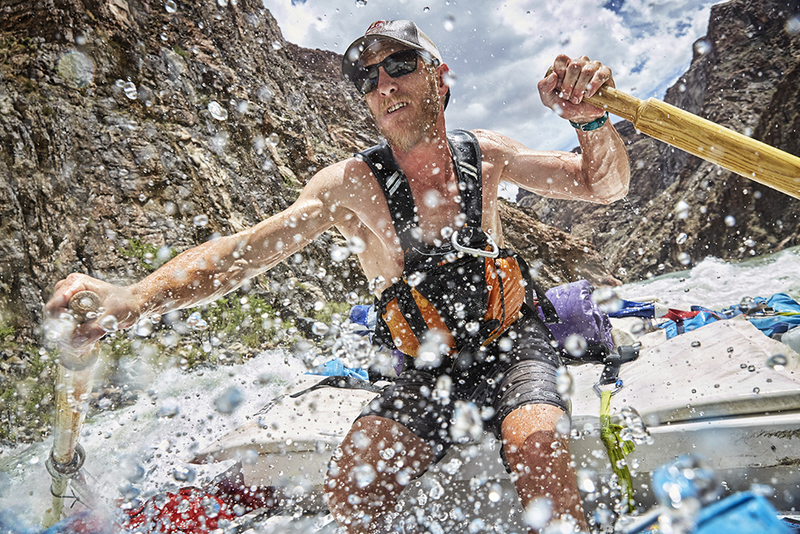 It's an adventure and there always seems to be some photographs to be made in the whitewater of the Colorado River. THANKS FOR THE CALL DENNIS !! !